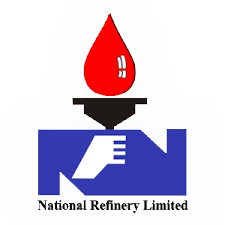 Following concepts and ideas guide the Management and Staff of National Refinery Limited in conducting its business practices in most ethical ways. We value lifestyle in our organization where ethics like truth, honesty, integrity and fair play are basic ingredients while interacting within the organization or dealing with the outside world. We share information and resources and step in to help out other team members. Conflicts are worked out in spite of obstacles and difficulties. We accept responsibility with “can do” attitude. We endeavor to provide quality products to our customers at competitive prices. We value their satisfaction essential for continued growth of our business. We generate new ideas and creative approaches to upgrade and update our refinery to best available technology and processes so that our products are at the level of internationally accepted standards. We believe in enhancing our profitability to the maximum so that Employees, Shareholders and Government all benefits from it. As a good Corporate Citizen, we are more than willing and happy to meet our social responsibilities towards the community around us. We are also committed to meet requirements of health, safety and environment.